A ground sirloin patty topped with fresh pea pesto, crispy bacon, red onion, sliced tomato and green leaf lettuce on a classic bun. Combine all ingredients in food processor and puree until smooth. Season to taste. Chill until use. Spread Pea Pesto Mayonnaise on buns. 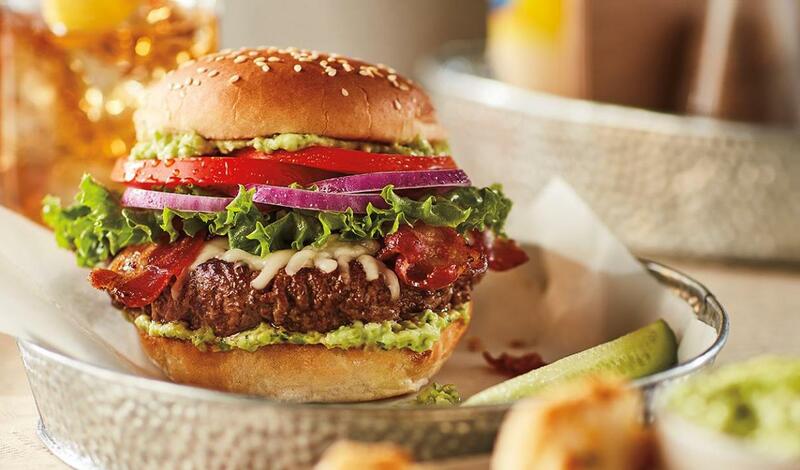 Top the Burger with Bacon, Lettuce, Onion and Tomato.